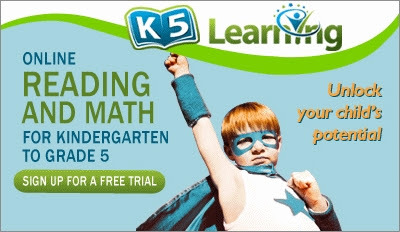 K5 Learning is an online math and language arts program for children who are in the kindergarten to fifth grade levels. The company, itself, was founded by parents who were looking for better tools to accompany their children's main studies. They did this by creating a home-based program inspired by their already popular licensed software that was already being used in schools, nationwide. The program allows children to work in their appropriate level and at a pace that fits their needs. Math: Topics of study include numbers and operations, measurement, time, money, geometry, algebraic thinking and data analysis. 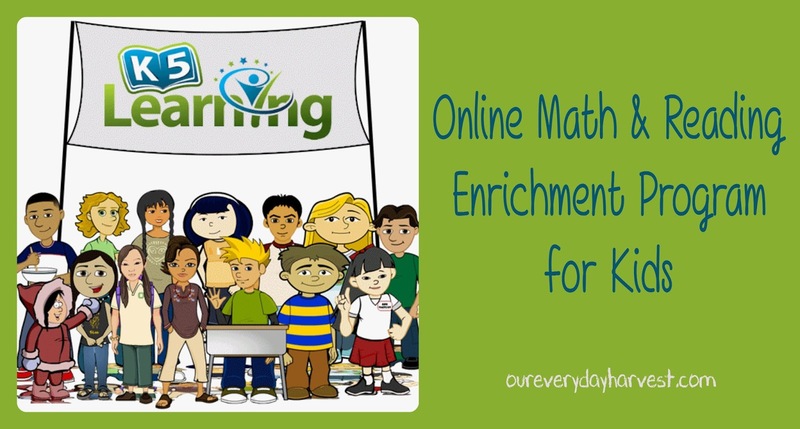 Once we created an account, we were prompted to have my son do the recommended reading and math assessments. Each assessment can take anywhere from 20 to 30 minutes, and the questions included offer an eclectic mix of levels. This is done on purpose and for good reason, too. You see, the assessment is a way to gauge your child's current academic level in these subjects. This is where the magic of K5 Learning's program really comes into play. Once the assessments are complete, the lessons in each child's profile are automatically chosen to cater to their individual learning level, all based on where they scored. What's really nice is that the results of each assessment are available almost immediately, so there's no waiting involved. A report is offered to show your child's grade level based on the performance of their assessment and where they will be placed in retrospect to the lessons. This will be notated with either Above Grade Level, At Grade Level, or Below Grade Level based on their personal profile upon registering. Since we don't typically take part in a lot of schoolwork on the computer, I initially wasn't sure how this program would work for us. Needless to say, I'm happy that I took the leap to join, since it has been working out wonderfully. I love being able to also track my son's progress as he completes the lessons and moves on to additional levels of study material. Each lesson builds off of the last, so he keeps moving forward, instead of repeating the same thing over and over. Another thing that I like about K5 Learning is that it has a very clean and organized interface. There isn't a whole lot of clutter, so it's very easy to move from one lesson to another. My son loves to learn, he will actually sit and happily take part in educational lessons, eagerly waiting to soak up all that knowledge like a sponge. Ever since we received our subscription to K5 Learning, that eagerness has grown even more, "Mommy, it's school time!" A huge bonus is how child-friendly the program is. 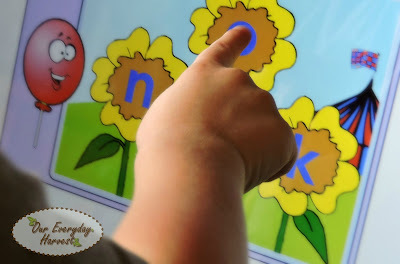 After giving my preschooler an introduction to the program, he was able to work independently through most of the lessons. Each lesson even comes with a warm up to show him how to complete the next assignment. This allowed him to get some educational time in, while I was nearby doing other household tasks–a win-win for the both of us! Each lesson contains a selection of characters that really help appeal to children, especially younger ones. My son is very attentive to the lessons, and the fun animation offers an engaging learning experience. When he progresses, the characters offer words of encouragement like, "that's right" or "nice work," which really helps motivate him to move further along in the assignments. What's also nice is that the company thrives on traditional values, so everything displayed on screen is respectful and age-appropriate. If I could change one aspect of the program it would be the way the assessments are set up. I found that having a broad range of subject matter to gauge a student's level of math and reading to be particularly helpful, but we did run into a small snafu. 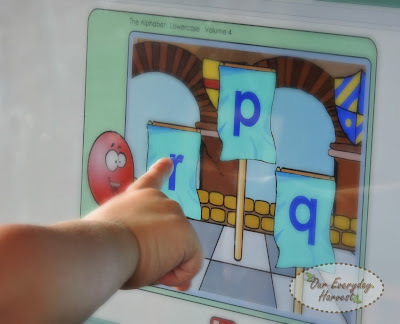 You see, there's no skip button for questions that are too difficult or above a child's learning level. So when my preschooler was being asked about a math problem relating to let's say algebra, he wasn't sure how to proceed with answering it. Of course not having a skip button meant he was forced to pick a random answer from the list of multiple choices. Sometimes out of pure luck he would get the answer correct. This only made it appear as though he knew some of the higher level math problems, which in turn made his predetermined math lessons a bit too difficult on occasion. Luckily, K5 does offer a way to have the levels changed. So if your child scores lower or higher than you believe they should be, or if the preassigned lessons are appearing to be too hard or even too easy, you can contact the company to have the levels changed to your preference. I was initially ready to do this, but was torn, because there were some lessons that did work for him. I didn't want to bump it down to something that was too easy. That is when I found a really neat feature where I can actually personalize his assignments. 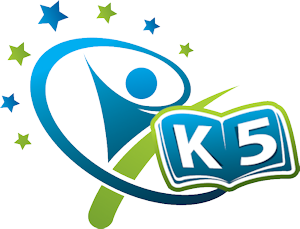 There is a lesson library that parents can access, which displays all of the reading and math lessons included in the K5 Learning program. Every child's learning levels are different–they may grasp one aspect of a subject better than another. For example, they may be a wiz at spelling, but still need some work on setting up proper sentence structure. 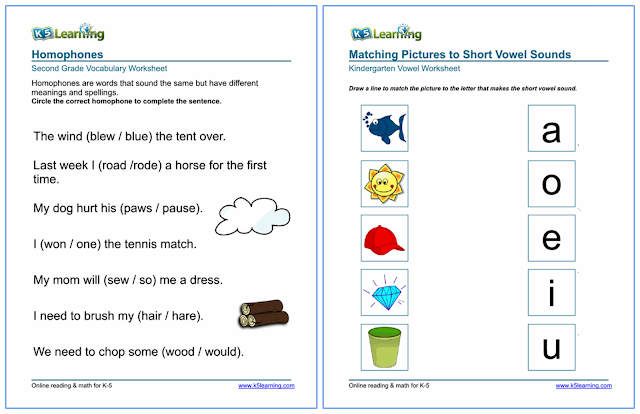 Parents can select which lessons they want their child to take and save them to a special lesson plan. When my son wants to start one of his lessons, he'll have a choice of doing a preassigned lesson (based off of the original assessment) or the ones that I personally set up for him. For now, I decided to keep my son at his preassigned level, so he now works with a happy mix of preset lessons and personalized assignments. I have to be honest, as much as I love technology, I still prefer physical products, especially for our homeschooling activities. My son is the same way, so I was excited to see the amazing selection of printable worksheets that are also offered through K5 Learning. 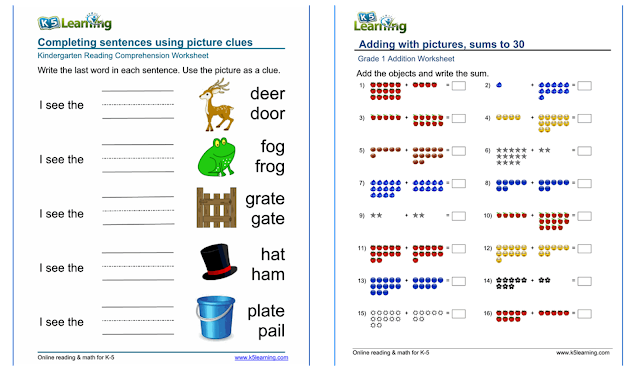 The website is extremely organized, so it's quite easy to find the worksheets you need, since everything is broken down into grade levels and subjects. They even offer a selection of math and reading flashcards. Of course, the best aspect of this feature comes solely with having a membership, because we now receive customized worksheets. As my son completes new lessons, a selection of recommended worksheets are made available that specifically correlate with each lesson. These are great for additional studying of a particular assignment or lesson. 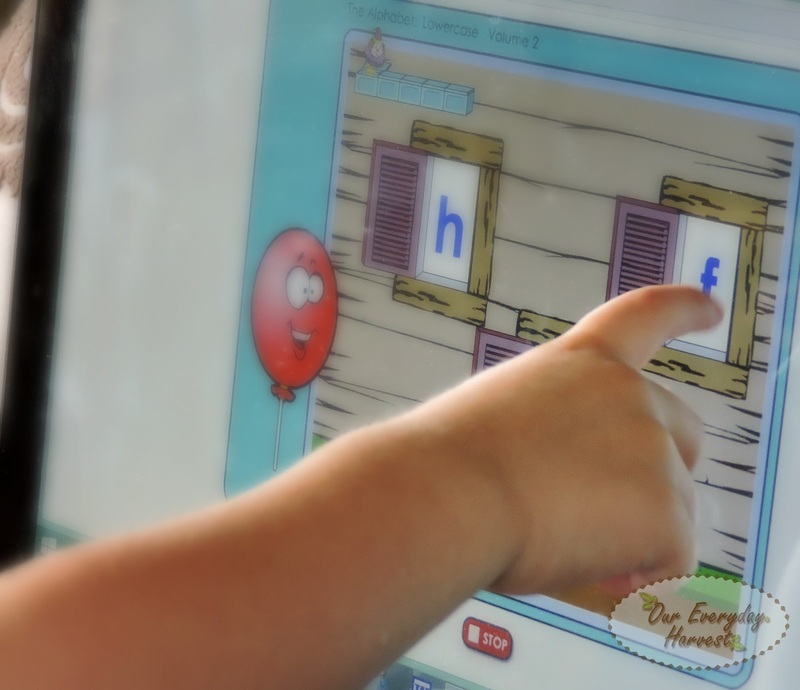 While K5 Learning is not meant to be solely used as a curriculum, it has been exceptionally helpful in our homeschool, since it adds in a few fun assignments here and there to complement our traditional lessons. The program isn't just meant for homeschoolers–it's also suitable for children who are schooled outside of the home, and perfect for after school studies, students with special needs, and even as a refresher for summer months when school is out. Right now, you can even sign up to receive a 14-day free trial with no credit card required at registration. What I really like most about this program is that it offers educational enrichment using a fresh mix of online and offline learning, by incorporating animated computer assignments that my son enjoys, along with a broad selection of physical activities, like worksheets, to accompany his lessons.